* Set include: 1pcs dress. * Condition: New with tag. Round neckline; Sleeveless; Sequined bodice; Spaghetti satin tie; Hidden back zipper closure. 4 layer skirt, top 2 mesh layers,1 layer satin and 1 lining with netting for additional fullness. 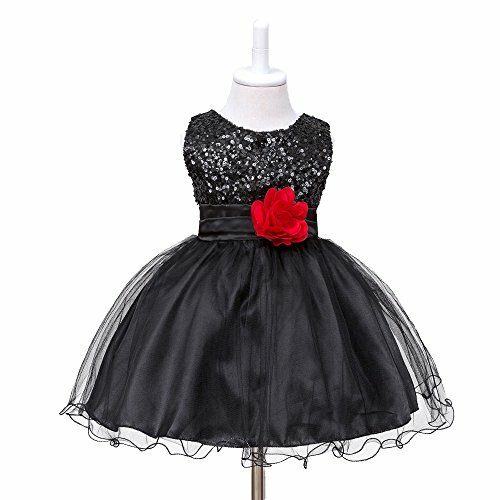 Suitable for wedding, communion, pageant, party, baptism and so on. Please make sure the seller is HUANQIUE. Don't buy from the seller who sell FAKE product. Please report them if you get fake products or never get any product from them.Thank you! If you have any questions about this product by HUANQIUE, contact us by completing and submitting the form below. If you are looking for a specif part number, please include it with your message.